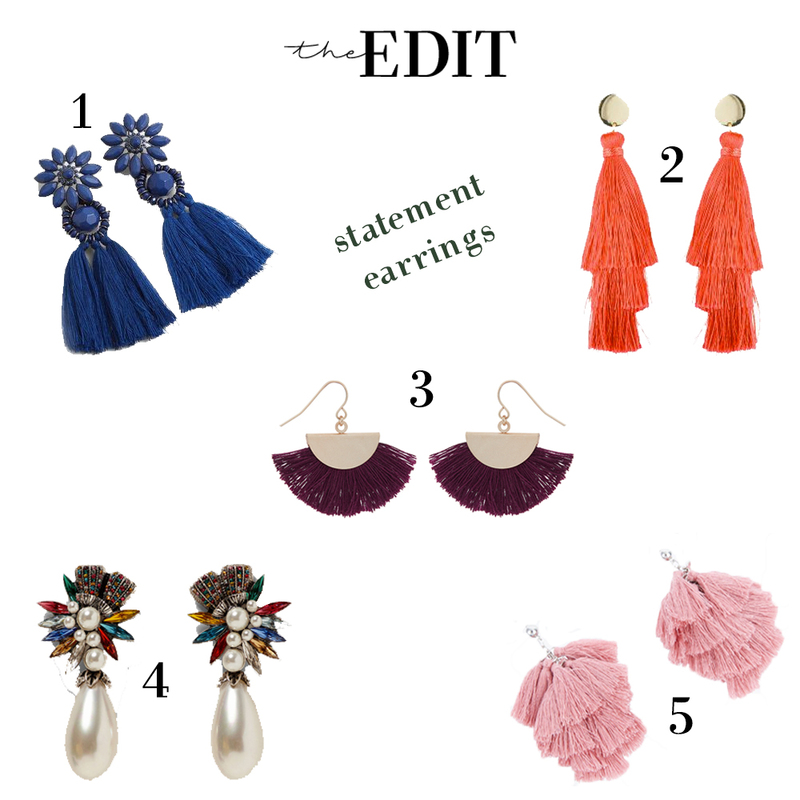 The statement earring trend, oh I'm in to it. As is the rest of the world but hey, it's ok! As I mentioned in a recent post, I was very happy to find out my ears didn't need re-piercing - a huge sigh of relief! As my jewellery box had approximately one pair of earrings, I felt these were an addition I needed. So far on my earring buying journey, I have stuck to the more classic silver based style, however, I'm dying to get my hands on a snazzy bright statement pair (just trying to find some that don't look bigger than my head). I rant and rave about the high street but how can you not when there's so many affordable pieces. Accessories the be-all and end-all of life! With so many colours and styles there's absolutely a pair of earrings for everyone, whether you go all out, or stick to a more simplistic style, they are a great way to transform an outfit and add a bit of glamour. I think the bright colours look amazing with contrasting accessories and a laid back outfit. Easy elegance, I'm all for it. I've listed a few of my faves on the high street currently.. let me know which ones you like best!